Spend five days traveling through Central India on this tour from Varanasi to Khajuraho. 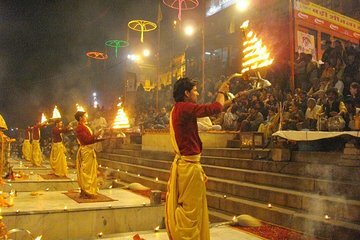 Spend two days exploring the 5,000-year-old city of Varanasi, which is widely regarded as one of India's most-sacred destinations. Travel to Sarnath, where Buddha gave his first sermon, and see a Hindu aarti ceremony at the River Ganga. Take a jeep safari in Panna Tiger Reserve and see a traditional dance and music performance at the Academy of Indian Classical Music. This tour showcases the best of Central India's culture, history and traditions.